2016-11-15 17:45:44,949 WindowServer: disable_update_timeout: UI updates were forcibly disabled by application "WebStorm" for over 1.00 seconds. Server has re-enabled them. I'll just reinstalled 2016.2.4, which works. But I thought I should let you know. Try re-installing 2016.3 from scratch - does the problem persist? Please remove it completely, including settings, plugins and logs ( ~/Library/Preferences/WebStorm2016.3, ~/Library/Caches/WebStorm2016.3, ~/Library/Application Support/WebStorm2016.3 and ~/Library/Logs/WebStorm2016.3 folders) and download a fresh build - does the problem persist? Initially, it remained blank. I then created a new blank project in the same window, then back to an existing project in the same window, and now it came up normally. Seems like it's working now. I was too quick in responding. Most of the content shows up, but tab "1. Project" refuses to show. The other tabs (Structure and Favorites) sometimes show up when clicked, sometimes refuse to show up. Can take a number of clicks back and forth to react. Does it show up in a new blank project? Also, does choosing View | Tool windows | Project help? No, that didn't help. It's even weirder than I thought, so I made a movie of it in action. 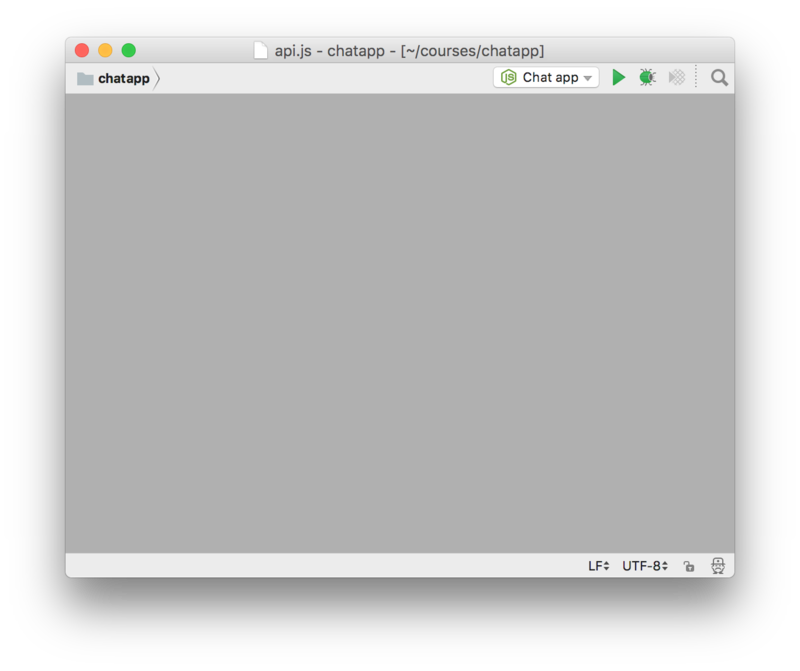 First, suddenly the chat app came up just fine, but as I go on to create a new project and then switch to other projects, you'll see that the tabs at the left start misbehaving, sometimes the window is completely empty, and even menus start missing. At one point the entire menu system is disabled. When I go back to 2016.2.4, everything is normal again, every time. I should add, that if I create a new project in a new window (instead of "this window"), it behaves the same way. weird... Please can you provide your idea.log(https://intellij-support.jetbrains.com/hc/en-us/articles/207241085-Locating-IDE-log-files)? I posted the idea.log file as support request 807965 just now. Yes, that does indeed solve the problem. Thanks!